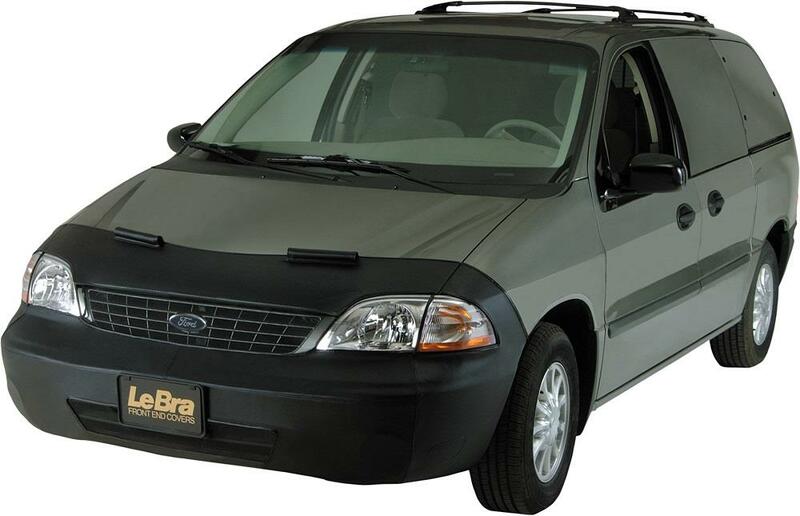 Your vehicle goes through a lot every day with rocks, bugs and other debris hitting the front end while you drive. 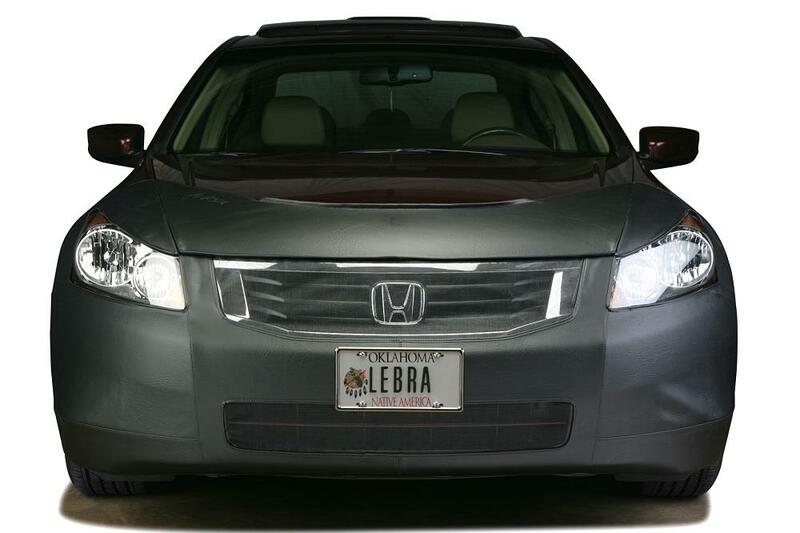 Now you can better protect your vehicle’s paint with a LeBra Custom Front End Cover that seamlessly covers your front end and does not let you down when you need it. 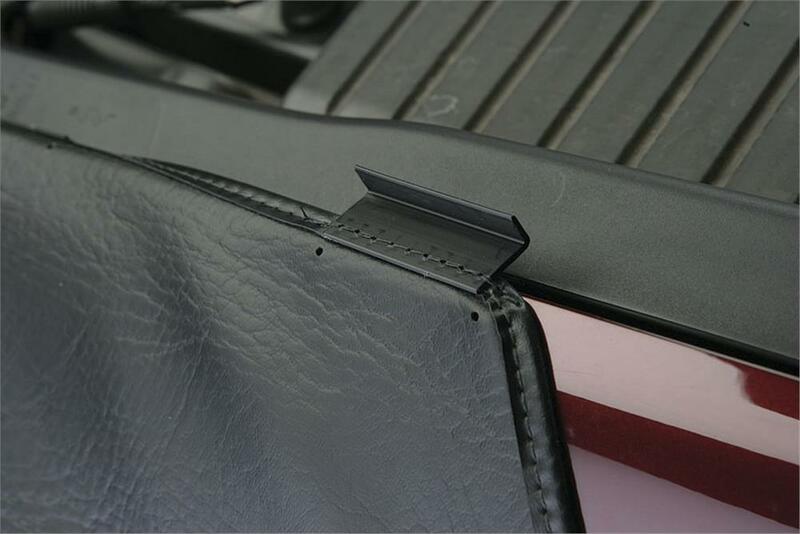 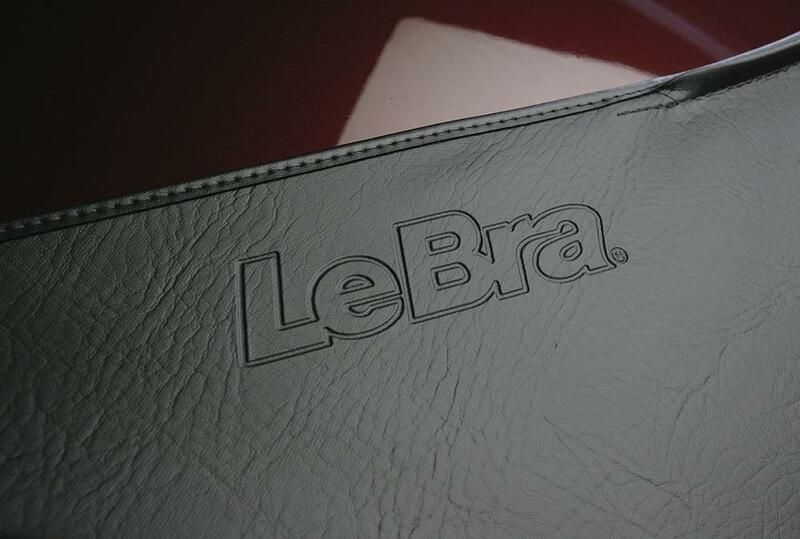 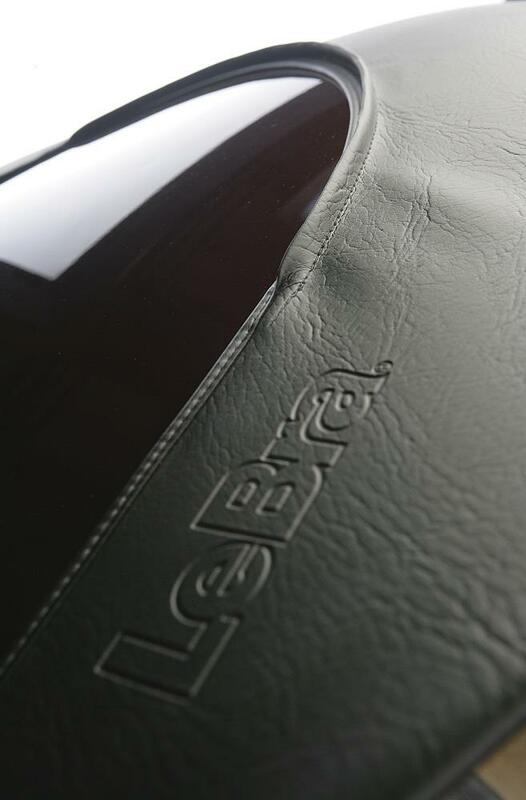 Whether you drive a truck, sedan or sports car, you will find a LeBra car bra that is custom-designed and precision-cut just for your year, make and model. 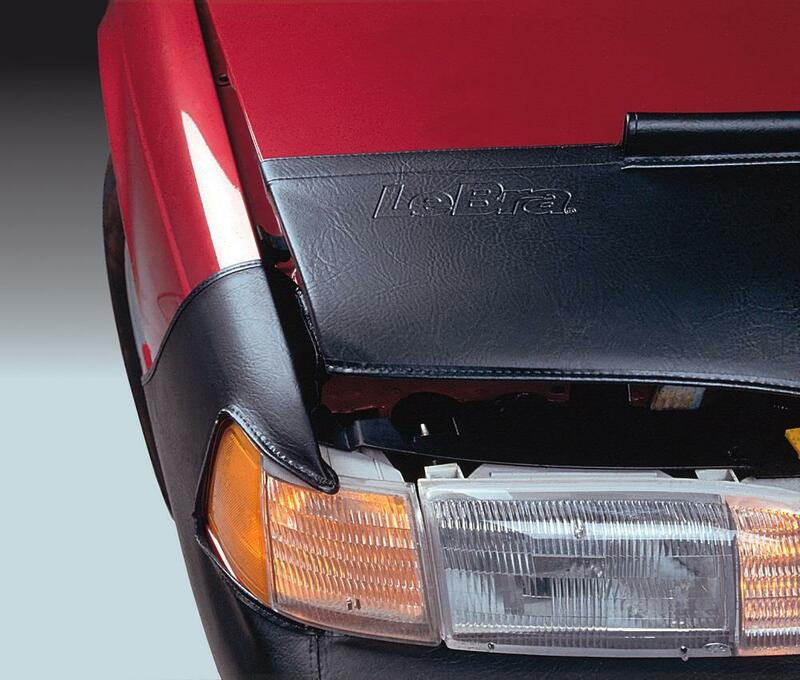 LeBra knows precisely what your vehicle’s front end looks like, so whether you have pop-up headlights, intake vents or fog lights, your front end cover has the curves and cutouts that you need. 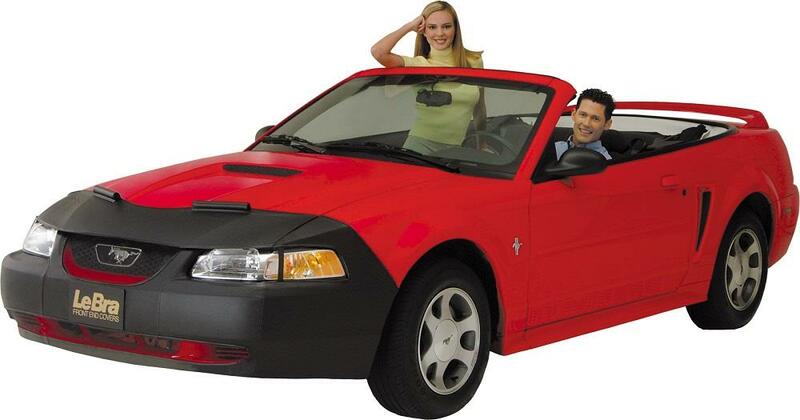 When buying this car cover, you can even specify if you want a cutout for a license plate, depending on the look you like your vehicle to have. 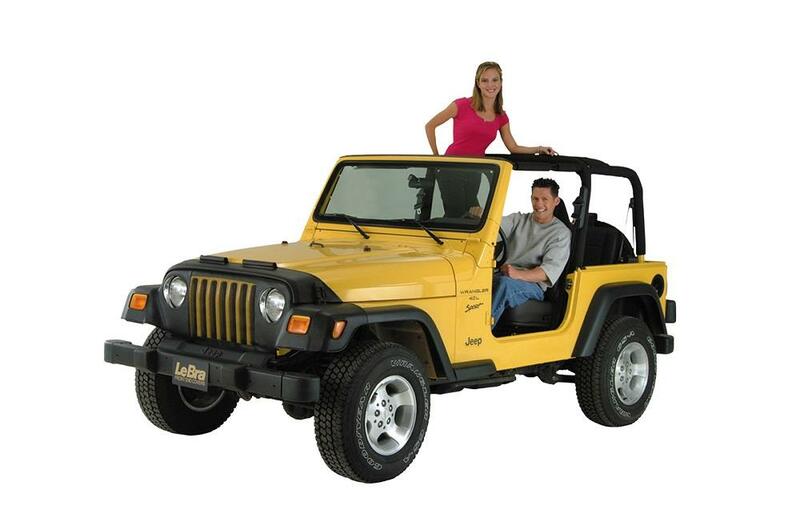 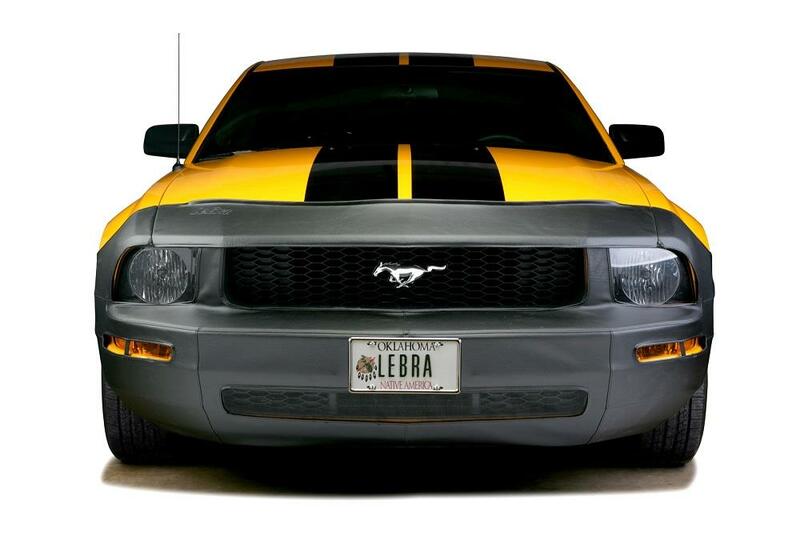 Whatever vehicle you drive, protect it with a Lebra Custom Front End Cover from California Car Cover Co. and you are sure to drive in style. 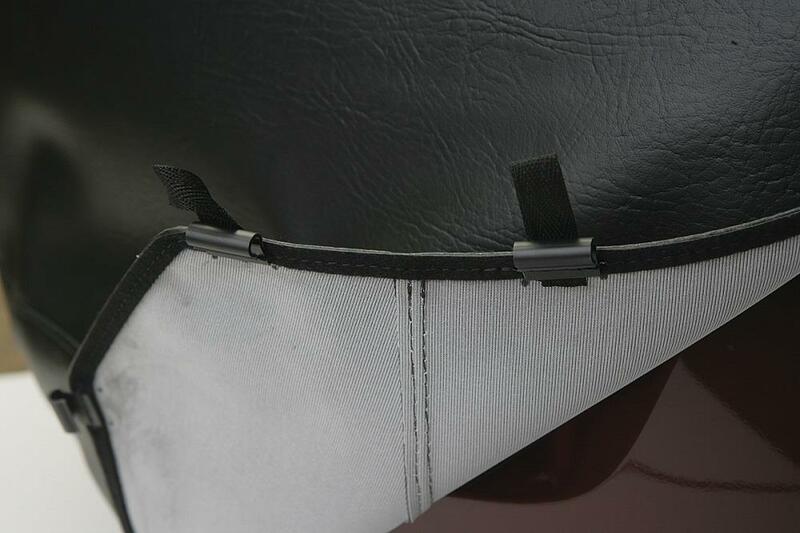 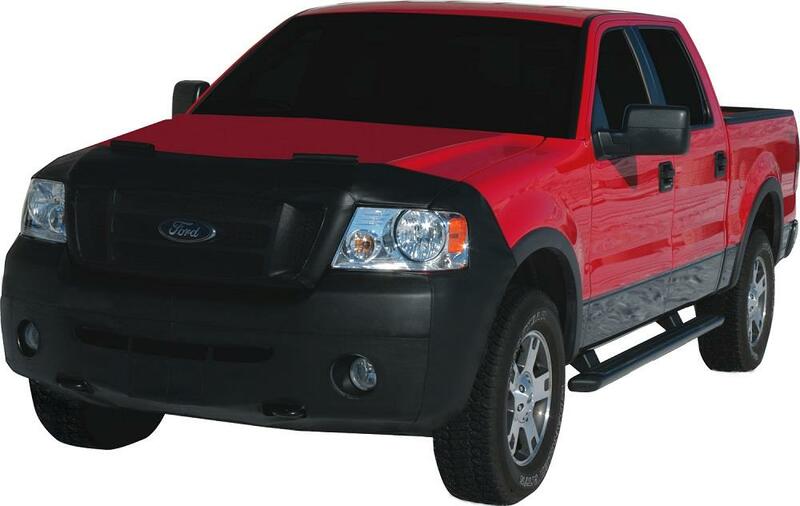 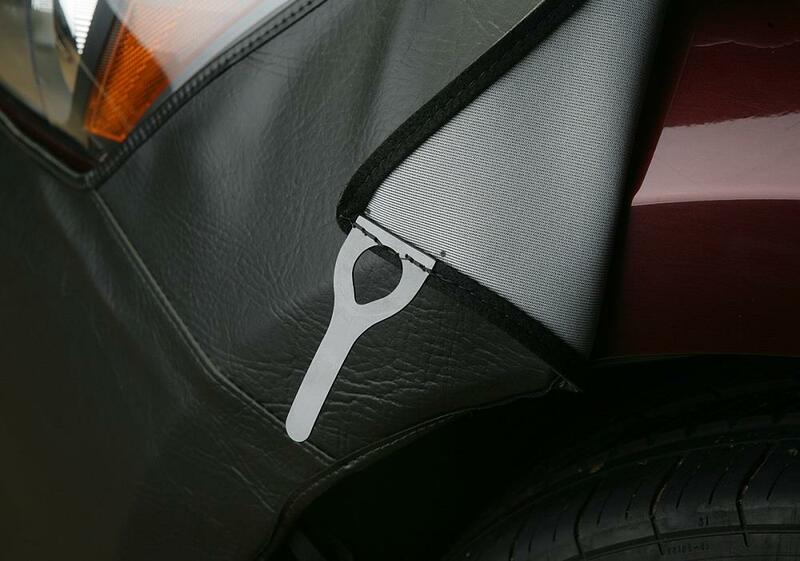 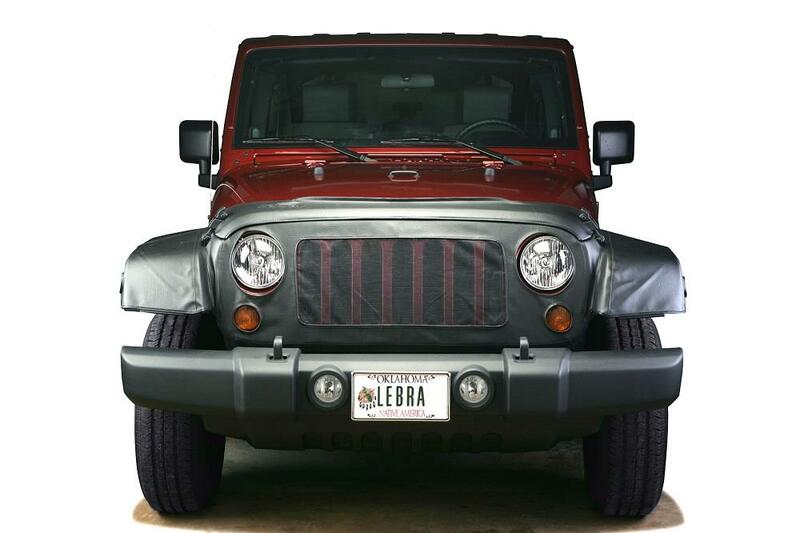 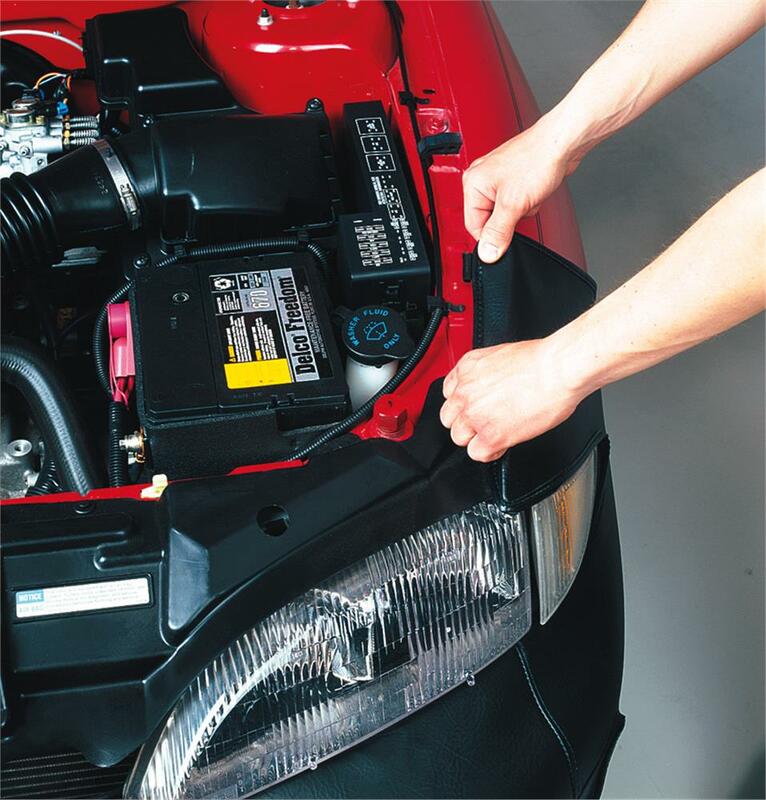 A LeBra Front End Bra Mask Cover provides an easy way to help protect your vehicles from the unexpected. 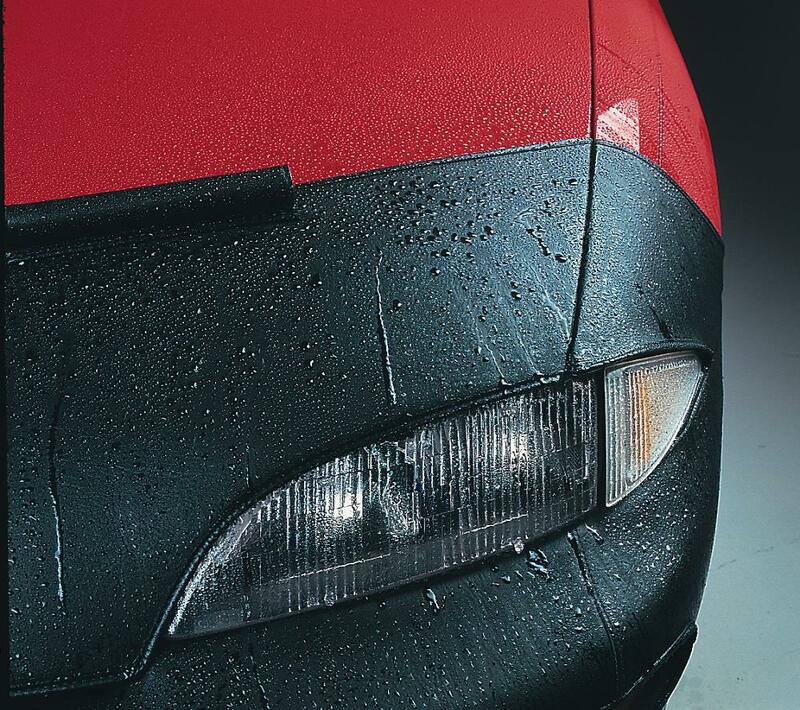 There's nothing uglier than road debris damage and rock-chipped paint. 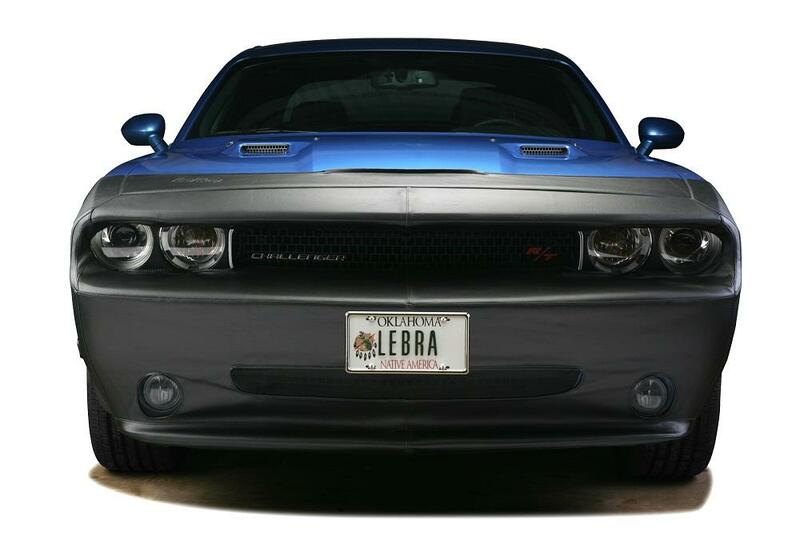 LeBra Front End Masks offers stylish protection that makes vehicles look great! 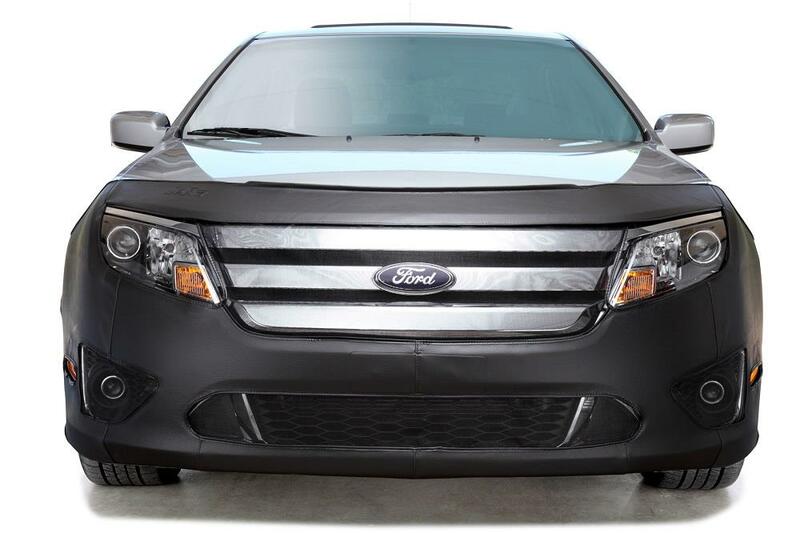 Each bra us custom-fit for the year/make/model vehicle and that includes fog lights, speical air-intakes, and even pop-up headlights.